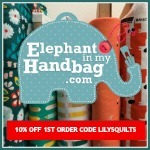 And today I am picking the winner of the £25 gift voucher giveaway from my newest sponsor, Elephant in my Handbag. 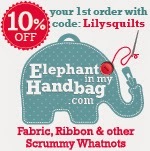 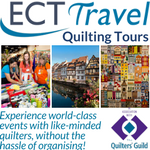 And don't forget that, whether or not you win, I also have a voucher for 10% off your first order at Elephant in my Handbag using code Lilysquilts. 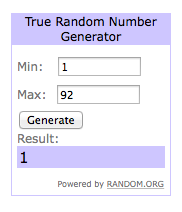 for the first time in the history of this blog, Mr Random has picked Madam Pippa Parsons!!! 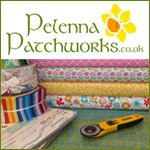 Come on down Pippa and claim your much deserved prize after many many giveaway entries right here!